Ishrat’s doctoral research focuses on identity construction of Rohingya refugee youth in southernmost part of Bangladesh. 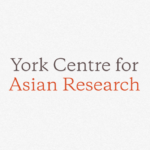 Her research examines how Rohingya youth identities are shaped (and expressed in everyday ways) through their Burmese history and cultural background alongside their displacement, refugee experience, and non-citizenship status in Bangladesh. In exploring Rohingya youths’ identities, her project investigates how “the self” (youth identities) and “others” (the Rohingya people as a whole) are governed through citizenship policies and regulations. Ishrat has a diverse set of research interests in rights, citizenship, children and youth, governance, immigration, refugee and South Asia. Prior to joining York, she completed her MA in Child and Youth Studies at Brock University. Her MA research examined how social and legal services affect life situation of unaccompanied minors in Canada. She also earned Master’s degrees in Women’s Studies and in Public Administration from Dhaka University, Bangladesh. Ishrat had several years of professional experience and consultancy work with development organizations in Bangladesh, such as the FAO, the UNDP and the UNICEF, offering assistance to the empowerment of disadvantaged people that includes the coastal fishing communities, street children and children without parental care. She also worked with the Ministry of Social Welfare of Bangladesh in designing and organizing training on proactive approaches to child friendly social work for the government and NGO personnel. She is the co-translator (English to Bengali) of the book Child Rights: The Historical Evolutionby Ghassan Khalil.